What does Genesis 10:25 mean when it says that Peleg was so named because in his day the earth (ha-aretz) was divided (nifelegah, from the verb root plg)? To some, the answer might be obvious, but others may have heard alternative answers, such as the view (which I heard years ago) that it refers to the physical separation of the original continents (though technically this happened quite a bit before humans). The context supplies what is probably the best answer. The following context narrates how God scattered the peoples and confused their languages (Gen 11:1-9). 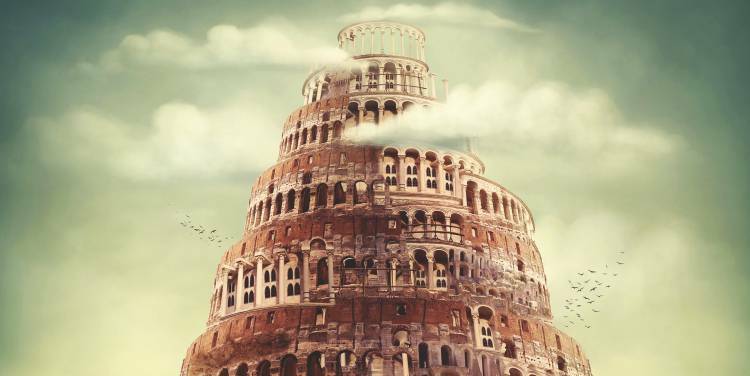 Although that narrative concerning the tower of Babel does not use the same term for dividing, the term probably is a functional synonym for the one used for God confusing the languages there (cf. plg applied to languages or speech in Psa 55:9 [MT 55:10]). Ha-aretz often means “the land” or even “the people of the land”; here, God scatters the people and so divides the earth. But why did God scatter the peoples at the tower of Babel? He had already commanded people to fill the earth in a positive way (Gen 1:28). But now God divided peoples in a negative way because they wanted to build a tower reaching to heaven (11:4). Technically, this may have been a ziggurat, which people of this region understood as providing a connection between heaven and earth, inviting visits from the gods. But in the context of Genesis, their action of trying to reach heaven echoes the primeval sin of trying to take the place of God (3:5; cf. Isa 14:13). Ultimately, God himself was the one to establish a conduit between heaven and earth, as in Jacob’s dream about the place where angels were ascending and descending (Gen 28:12). (In John’s Gospel, Jesus is Jacob’s ladder, the way to the Father; John 1:51 with 1:47.) Further, the people sought to make a name for themselves, to establish their own honour (Gen 11:4). By contrast, God soon promised to make Abram’s name great (12:2). As in the case of connecting to heaven, the issue was not whether God could bless such a connection or such honour. The issue was the recognition that must come from God, not from human determination. God chose to exalt and bless his obedient servant, not those who simply took their destiny into their own hands without seeking to obey Him.